The Holiday shopping season proved to be disastrous for Asus as the manufacturer struggles to compete in both the desktop and laptop markets. The traditional PC market consisting of desktops, laptops, and workstations grew ever so slightly last quarter (Q4 2017) in the European, Middle Eastern, and African regions collectively known as EMEA. According to market analytical firm IDC, sales were up 1.2 percent YoY from 20.674 million units to 20.926 million units. Laptops in particular were up significantly by 12.1 percent in the MEA regions while desktops dropped by 0.8 percent across EMEA. Overall sales have been slower in Western Europe by 1.5 percent with desktops down by as much as 5.1 percent. The downward slope was fortunately offset by a stronger performance in France where desktops sales were up 4.1 percent. Sales in both the UK and Germany were down as predicted by 4.0 percent and 2.0 percent, respectively. 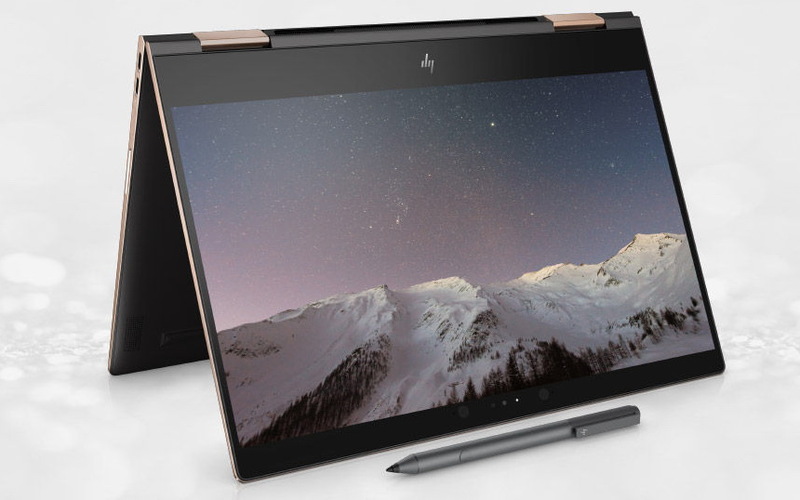 Meanwhile, no major shifts occurred for the top 5 largest PC manufacturers as HP, Lenovo, and Dell still control nearly two-thirds of the market at a collective 61.3 percent. HP grew an astonishing 11.3 percent YoY while Asus fell face first with a drop of 17.1 percent. 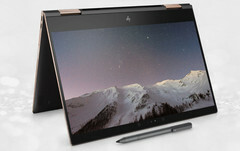 The Taiwanese company recently launched its well-received Zenbook 13, but availability and exposure have been spotty at best against its bigger competitors. 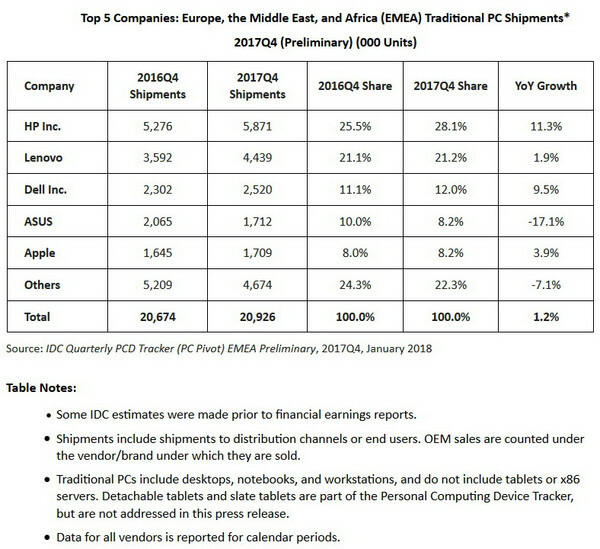 Should current trends continue, Apple may overtake Asus to be the fourth largest PC manufacturer in EMEA by the end of 2018.